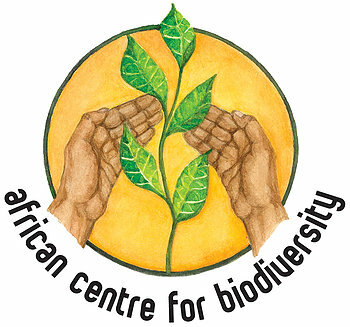 The African Centre for Biodiversity (ACB) has just released the report For your own good!, which outlines the GMO industry’s expansion across Africa. The report focusses on non-commercial traditional crops, such as cassava, sorghum, sweet potato, pigeon pea, cowpea, banana and rice, which corporations are attempting to genetically modify and roll out under the guise of philanthropy. “This indicates that the GM industry, under the veil of technology donations and public financing, is effectively managing to make further inroads into imposing GM on the African continent. By focusing the research on traits meant to ‘benefit’ farmers and malnourished populations, through inter alia, biofortification, the industry is intent on giving a humanitarian face to the real involvement, vested interests and expanding influence of these MNCs in African agriculture”. The ACB report notes there is a dearth of literature that critically addresses biosafety issues and socio-economic aspects relating to the biofortification of indigenous crops through GM. According to the authors, this is especially important given the need to move away from an over-emphasis on food fortification strategies towards a permanent solution: diet diversification through locally available foods, which was recognised as early as 1992 by the UN International Conference on Nutrition. Global Justice Now shows that the senior staff of BMGF’s programmes are overwhelmingly drawn from ‘corporate America’. As a result, the question is: whose interests are being promoted – those of corporate America or those of ordinary people who seek social and economic justice rather than charity? The ‘philanthropy’ currently being dished out in Africa does not empower local farmers but is aimed at getting GMOs (with all of the associated problems) into agriculture, sucking farmers into the prevailing power structures of US capitalism and marginalising credible, alternative approaches based on self-sufficiency, sustainability and sound ecological practices.